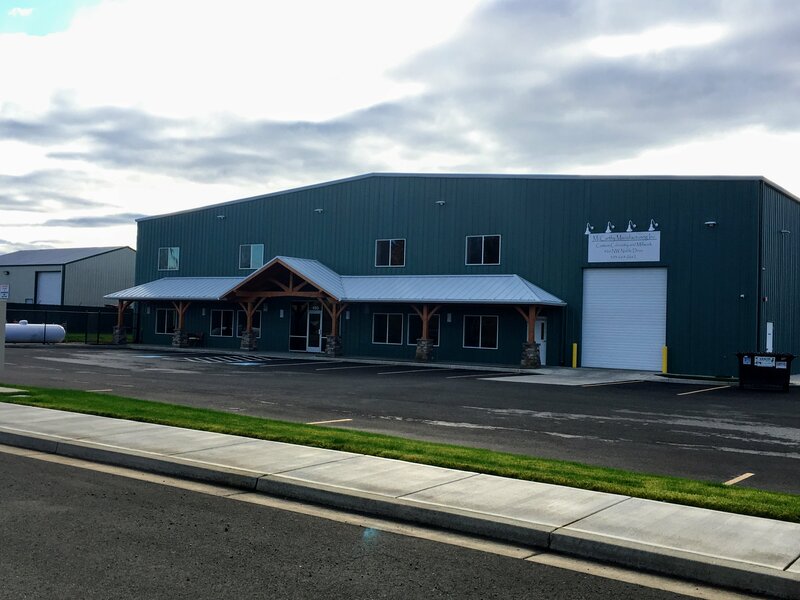 Business front located in Estacada, Oregon industrial park. This entry provides a professional entry while also offering protection from the elements for both customers and employees. Combining the wood and metal gives this business a unique appearance and sets them apart from the other businesses.